Can’t remember an icon ending his Phillies career as will happen with Ryan Howard this weekend at Citizens Bank Park. Four Phillies Hall of Famers had different exits. 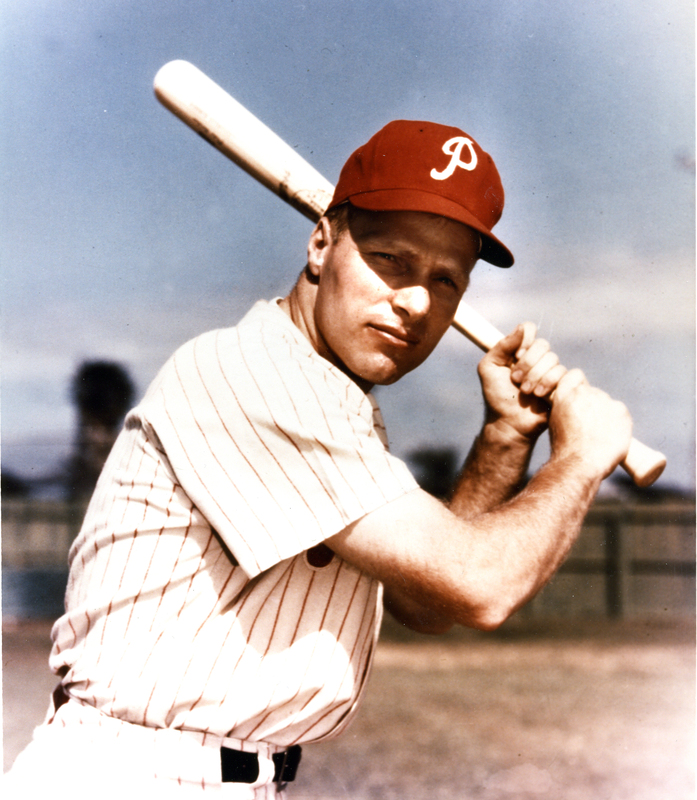 Richie Ashburn was traded in the winter (1960) while Robin Roberts was sold to the Yankees in spring training (1961). 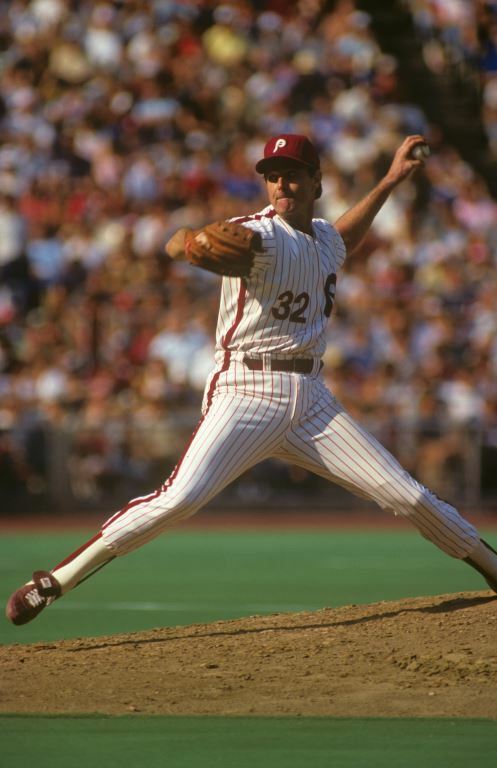 Steve Carlton was released during the season (1986) and Mike Schmidt retired on the road during the season (1989). Howard’s teammates, Chase Utley (2015), Cole Hamels (2015) and Carlos Ruiz (2016), were traded during the season. Jimmy Rollins’ final season (2014) ended with a strained left hamstring on September 8. He was traded three months later. None were able to receive a final farewell in front of Phillies fans. That’s about to change. The Phillies will have a special pre-game presentation to Ryan at 2:30 p.m. on Sunday. Game time is 3:05 p.m. Remember, Saturday’s game time has been moved from 7:05 p.m. to 1:05 p.m. for a FOX national telecast as the Mets continue their push for a wildcard postseason berth. While the Phillies are limping to the finish line there’s going to be the excitement of Ryan’s final games and trying to spoil the Mets season. Phillies fans will need to drown out the Mets fans. Citizens Bank Park will be energized as the season closes. Cell phone cameras will be in action. Jeanmar Gomez’s nightmarish month continued as the Phillies lost their last road game and their final game in Turner Field last night. Entering a 1-1 game in the eighth, he walked the leadoff hitter. It led to a four-run inning and a 5-2 defeat. Jeremy Hellickson left the game after 3.1 innings because of a sprained right knee and the Phillies leading, 1-0. Hellickson scored that run after a single in the third inning. The other run came on a pair of two-out hits in the ninth. So, the Phillies finished 34-47 on the road, losing six of their last seven. Yet, it was an improvement on last year’s road record (26-55). **Won the season series from the Phillies for the sixth straight year. Adam Morgan had a nine-pitch scoreless first inning. It went downhill from there as the Braves scored nine runs off him over the next three innings. He finished the game and his season having allowed nine runs on 10 hits in five innings. In four previous starts this month, he allowed a total of eight runs. The leaky Phillies bullpen gave up three runs over the final four innings. Frank Herrmann’s .2 scoreless outing ended a streak in which 12 straight relievers allowed runs. On this 1-5 road trip, the bullpen has allowed 63 runs. Mercy. Atlanta has won the season series five straight years . . . Phillies final flight home after tonight’s game . . . Mets will be in town for the final three games of the season. First game is 7:05 Friday night . . . A reminder: Saturday’s game has been moved from 7:05 p.m. to 1:05 p.m. for a FOX TV . . . All Sunday games in MLB will begin at 3:05 p.m. . . . Mets have scheduled right-handed starters meaning Ryan Howard will be in the lineup. Tonight the Phillies bid farewell to Turner Field in the final National League game in the Braves home. Three interleague games against the Tigers this weekend officially close the book. The first game the Phillies played there was on June 16, 1997, a 5-4 loss. WP: Denny Neagle. LP: Matt Beech. SV: Mark Wohlers. CF Ricky Otero was the Phillies’ first batter. Darren Daulton hit the team’s first home run. The Phillies greatest game there came on Labor Day two years ago when Cole Hamels-Jake Diekman-Ken Giles-Jonathan Papelbon threw the first combined no-hitter in franchise history. Another big moment came on the final day of the 2011 season. Atlanta and St. Louis were tied for the wildcard berth while the Phillies had clinched their fifth straight division title. Rather than rest his regulars Charlie Manuel decided to stay with them in a very important game for the Braves and Cardinals. 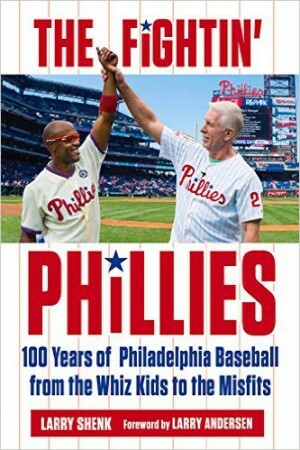 The Phillies franchise record 102nd win and a victory by St. Louis ended the Braves season. The Cardinals later eliminated the Phillies from the postseason. The Phillies have played the Braves in South End Grounds, Braves Field and Fenway Park (Boston), County Stadium (Milwaukee), Fulton County Stadium and Turner Field (Atlanta). Next year, SunTrust Park. Phillies first game there is June 5. September 3, 1957–Phillies beat the Dodgers 3-2 in 12 innings to win the last major league game played in Roosevelt Stadium in Jersey City, N.J. The Dodgers played eight home games in Jersey City in their final season in Brooklyn. Attendance: 10,190. September 18, 1963–LHP Chris Short (8-11) wins the final game played at Polo Grounds, a 5-1 complete game. Attendance: 1,752. September 26, 1976–Phillies win a doubleheader, 4-1 and 2-1, in the last games played in Montreal’s Jarry Park. First game win gives the Phillies the National League Eastern Division title. Second game shortened to seven innings because of rain. Attendance: 14,166. Working on a player’s weakness and a change in positions are part of the instructional league camp. One focus for pitchers is throwing first pitch strikes. Josh Tobias, a switch-hitting second baseman who tried the outfield in Clearwater, played third base on Tuesday. 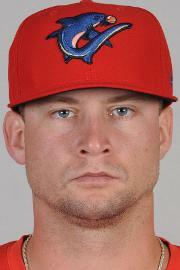 PhuturePhillies.com reported that two players joined the Instructs and pushed the roster total to 64 players. The new additions are LHP Oscar Marcelino and the PTBNL in the Carlos Ruiz trade, OF Joey Curletta. If this is the final week in the Phillies career of Ryan Howard, he started it in grand style. He hit the first pitch he saw for his 15th career grand slam in the first inning. By the end of four innings, Jerad Eickhoff was working on a 6-1 lead, having allowed just one hit. Then the rains came, a delay of nearly two hours. As it turned out, It didn’t rain long enough to postpone the game. The delay cooled the Phillies bats and robbed Eickhoff of a win. He’ll have one more start, the final game of the season Sunday. The rains also meant the beleaguered Phillies’ bullpen would take over. Within four innings, the Braves led, 7-6, which was the final score. They’ve won five in a row over the Phillies. One of the strangest patterns continued. On Saturday the Phillies scored 10 unanswered runs. The rest of that game and Sunday, the Mets scored 25 unanswered runs. Last night, six for the Phillies followed by seven by the Braves. Once again the game was decided by the bullpen which has eight blown saves, nine losses and allowed 69 runs this month. Roman Quinn snapped a streak of six consecutive strikeouts by starting the game with three straight hits. He left the game with an oblique injury . . . Howard’s slam was his 15th, putting him in a tie for 13th place on the all-time list with Ken Griffey Jr. and Richie Sexson. Only three first basemen have hit more, Willie McCovey (18), Eddie Murray (19) and Lou Gehrig (23). From Elias Sports Bureau: A total of 107 players have hit 20 home runs this season, a major league high. Previous was 103 in 1999. Baseball America has released its list of the top 20 players in the Gulf Coast League. Three are Phillies, #1, CF Mickey Moniak; #7, 2B Dan Brito and #15, OF Jhailyn Ortiz. 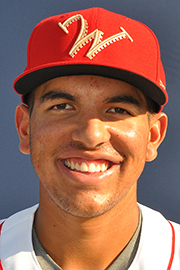 Sixto Sanchez was named the Pitcher of the Year. The Florida Instructional League season began on Monday with the Phillies hosting the Blue Jays at Bright House Field. Emphasis is on instruction and not statistics. It resembled a typical FIL game in that the Phillies used six different pitchers and 13 position players. Actually that’s September baseball in the major leagues these days. Before the 1 o’clock afternoon game, the entire camp worked out at Carpenter Complex. That is a daily routine except for Sunday. Before a sellout crowd of 58,554, the final game in Vet history is won by the Atlanta Braves, 5-2. Following the last out, emotional and memorable closing ceremonies are held featuring the 2003 Phillies and nearly 100 alumni. 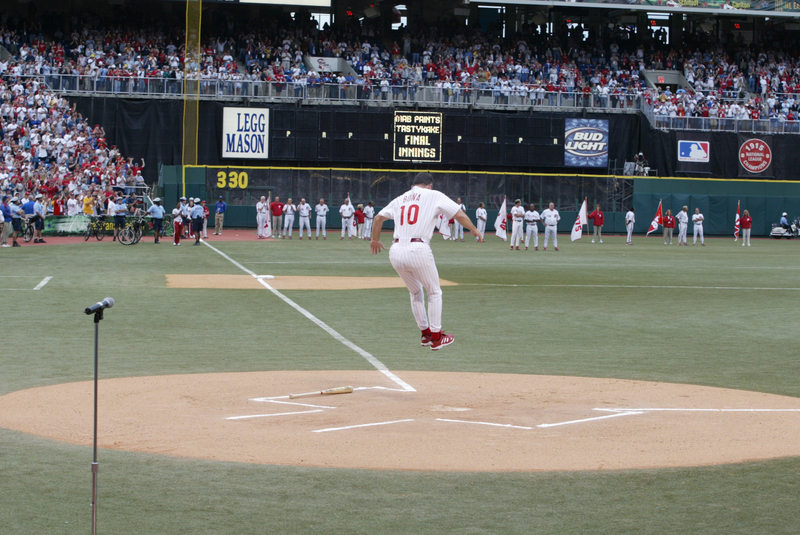 Larry Bowa jumped on home plate during the ceremonies. Not only is a season winding down, a career for a Phillies icon is nearing the finish line. Ryan Howard, the greatest first baseman in Phillies history, has six more potential starts, barring injury. Three right-handers are starting on the mound for the Braves in this series that begins tonight and Ryan is expected to be in the middle of the Phillies lineup as he’s done since he reached the majors 12 years ago. After this series, the scene switches to Citizens Bank Park for three games against the Mets starting Friday night. Saturday’s game has been changed from 7:05 p.m. to 1:05 p.m. for a FOX telecast. It is only fitting that Mike Schmidt, the club’s all-time home run leader with 548, will be in the Phillies TV booth for the final game. 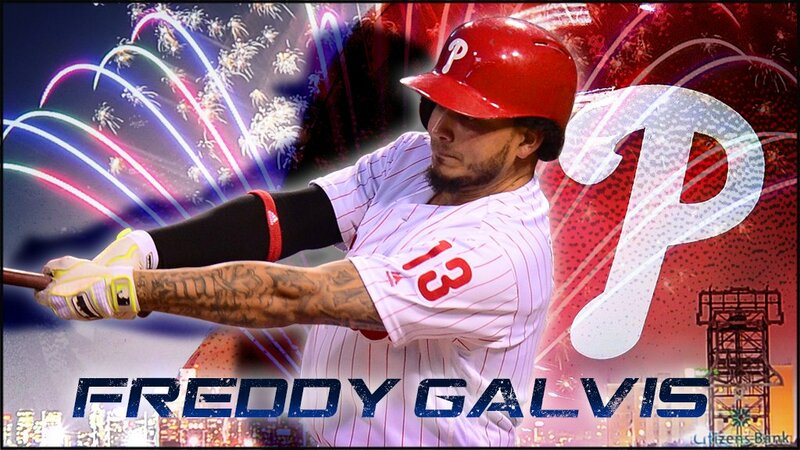 He and Ryan are 1-2 in home runs for the Phillies and will be for a long time. They also have a special bond. Howard’s currently sitting at 380 career homers which puts him in sole place for 70th on baseball’s all-time list. He’s hit one home run on this date, 2007, #126, John Smoltz vs. Atlanta. Braves have won the last four games vs. the Phillies . . . 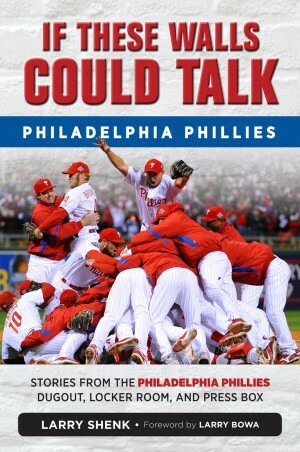 Season series all tied at 8-8 . . . Last time the Phillies won the season series was 2011 (12-6) . . . Turner Field this season, 4-3 Phillies . . . Turner Field history, 88-82 Braves. Five things to know about the Braves. **They are only 26-49 in their final season at Turner Field. **13-9 this month, including 7 wins in last 8 games. **Hit .237 before ASG; .278 since (32-34 record). **They have used a club-record 16 different starting pitchers. The Phillies are the first team ever to have two first basemen with 20-plus home runs . . . Jimmy Rollins began as a TBS studio analyst on Sunday afternoon. He’ll also be there for the last Sunday and any TBS postseason games. Joining him are Gary Sheffield and Pedro Martinez. Jimmy has done similar TV in the past for FOX . . . Chase Utley has won the 2016 Roy Campanella Award as the Dodgers’ most inspirational player. Anyone surprised? Who makes the annual selection? The Dodger players . . . Vince Scully’s comment from his pre-game salute last week, “I’m going to retire, buy a small house with a large medicine cabinet.” . . . Baseball America has named Jorge Alfaro as the best defensive catcher in the minors. 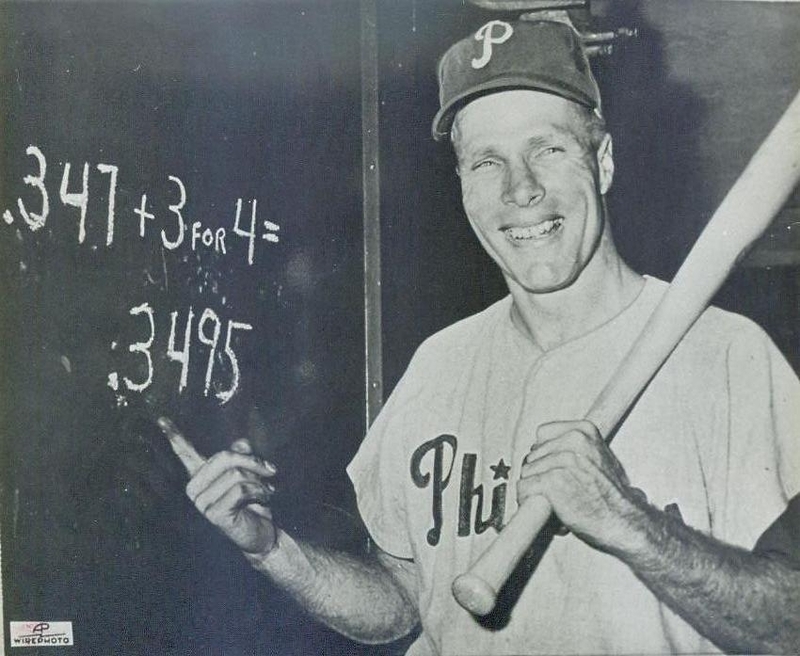 Each of the Phillies six domestic minor league affiliates finished above .500 for the first time since 1953 . . . Winning percentage for those six is .595, highest of all organizations . . . Four teams reached the playoffs . . . Phillies minor league players received one league MVP, one league Pitcher of the Year, one league Rookie of the Year, two Futures Game selections, four league Player of the Month Awards, 14 league Player of the Week honors. Here are the organizational leaders from the four full season affiliates: LV (Lehigh Valley), RE (Reading), CL (Clearwater) and LA (Lakewood). 1949, Happy Birthday, Mike Schmidt. Phillies beat Atlanta, 7-6, in 10 innings for their final win at Veterans Stadium. 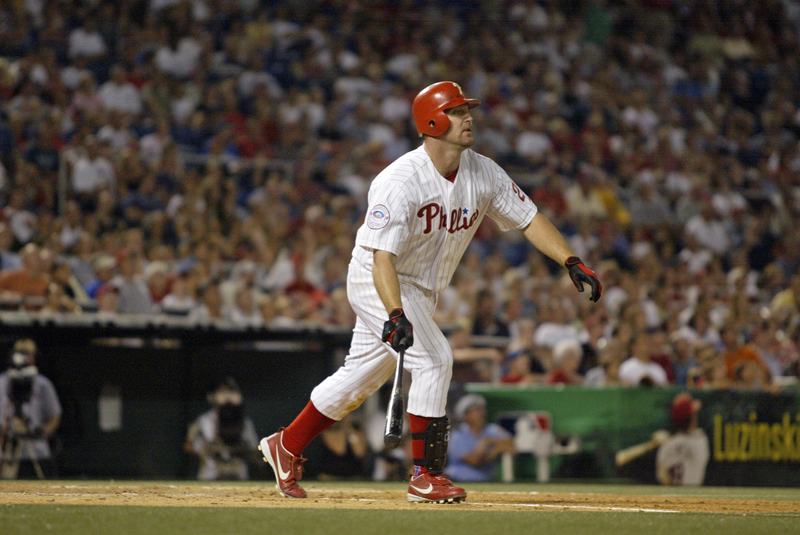 Jim Thome hits the last home run and Rheal Cormier is last Phillies pitcher to win a game at Veterans Stadium. (Will blog daily through the rest of the season and Ryan Howard’s farewell). Expanded September rosters were on full display during a Phillies four-game series against the Mets at Citi Field. Continuing their mastery of the Phillies, the Mets won three, including 17-0 on Sunday. That’s the most runs the Mets ever scored against the Phillies in 946 meetings. It is the second biggest shutout loss in Phillies history to 28-0 at the hands of the Providence Grays, August 21, 1883. One would hope that record will never be broken. Sunday’s blow-out was the only game the Phillies couldn’t have won. Their lone win came Saturday night when they led 10-0 before the Mets had a base runner. That game ended 10-8 with the winning run at the plate in the ninth. In the four-game series the two teams combined for…….. This show leaves Broadway for Philadelphia’s Citizens Bank Park this Friday, Saturday and Sunday (3:05), the final three games of the regular season. The Phillies play their final three road games in Atlanta starting on Tuesday night. 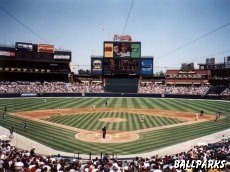 The games are the last National League games to be played in Turner Field, home of the Braves since 1997. The final games are this weekend, an interleague series with the Detroit Tigers. The Braves will have a new ballpark next year. That means Citizens Bank Park will be the oldest park in the National League East. Shocking. Finished second in the division, 85-58, the second-best AAA record . . . Earned wildcard berth but lost Division Series playoffs to Scranton/Wilkes-Barre RailRiders, 3-0 . . . It was the second time LV made the postseason; 2011 being the other . . . 85 wins were the most by a Phillies AAA affiliate since 2002 . . . Attendance: 611,015; average (8,729) ranked fourth in IL. It marked the ninth straight season attendance exceeded 600,000, longest streak in the minors. The IronPigs never lost more than three games in a row . . . 3.12 ERA was a franchise low . . . 42-30 at home; 43-28 on the road . . . Set club record by hitting 122 home runs . . . Pitching staff led league with a 1.15 WHIP, was second in ERA (3.12) and third in shutouts (18). RH Jake Thompson was named the IL’s Most Valuable Pitcher . . . Thompson (2.50) and RH Ben Lively (3.06) finished 1-2 in ERA in the league . . . Lively and Thompson shared league high in W (11); combined with Reading, Lively all minor leaguers in wins (18-5) . . . Lively and Thompson, 1-2, in WHIP, 0.93-1.10. All-Stars: C Andrew Knapp, OF Cameron Perkins, RHR Edward Mujica were selected for the AAA All-Star Game. Knapp homered and Perkins drove in the winning run . . . Thompson was named to the IL postseason All-Star team. Phillies play their first game (Blue Jays) a 1 this afternoon in Bright House Field. Rest of the week: Tuesday (Yankees, home, 1 p.m.), Thursday (at Yankees complex in Tampa, 1), Friday (at Pirate City in Bradenton, 10 a.m.) and Saturday (Blue Jays at Carpenter Complex, 10). No games are played on Sundays. 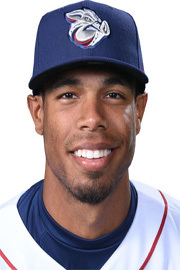 Seven Phillies minor leaguers assigned to the Arizona Fall League will report to Carpenter Complex this week before flying to Phoenix next week: RHR Victor Arano, LHS Brandon Leibrandt, RHR Miguel Nunez, LHR Jeff Singer, 2B Scott Kingery, 3B Mitch Walding, OF Aaron Brown. Season starts October 11. Happy Birthday: Former pitcher with the Philadelphia A’s and Phillies, Bobby Shantz, 91 today. After watching a lead of 15 ½ games on August 24, 1976, slip to three games in three weeks, the Phillies clinch their first post-season title in 26 years, 4-1 over the Expos in Jarry Park, the final day for the Montreal ballpark. Back on April 9, a Saturday at Citi Field, the 0-4 Phillies were clinging to a 1-0 lead after eight innings. The bullpen had allowed 15 runs in 10 innings during the 0-4 start so Pete Mackanin turned to Jeanmar Gomez. Six pitches later, Gomez recorded his first Phillies save. Last night on the very same mound, Gomez came on in the bottom of the ninth trying to save a 6-4 lead. On August 13, he recorded his 30th save. Since then the bottom fell out and it happened again as he gave up a one-out, two-run homer sending the game into extra innings. In 17 games since August 13, he’s allowed 17 runs in 13.2 innings. Scoring two runs in the 11th, the Phillies led for the third time in the game. 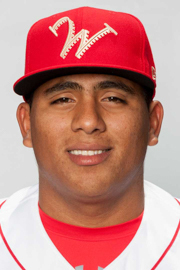 23-year-old Edubray Ramos, who was in Reading when the season started, came on to try and record his first major league save. A one-out walk, single and walk-off three-run homer lifted the Mets to an improbable 9-8 win. For the Phillies, a bitter two-blown saves loss, also improbable. Once again a Phillies starter pitched well. This time it was Adam Morgan who allowed three runs in five innings while striking out eight. The rest of the Mets runs came against the bullpen. 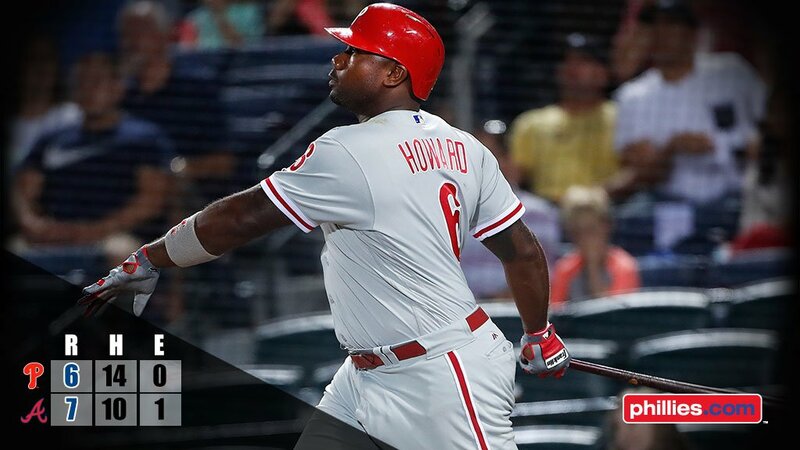 Ryan Howard, Cameron Rupp and Maikel Franco all hit homers for the Phillies. Two came off the Mets starter who gave up three runs in five innings. The rest of the Phillies runs came off the Mets’ bullpen. Morgan’s outing was the 19th consecutive start in which the starter has allowed three runs or less, matching the 1989 rotation. Three years earlier the rotation had a 19-game streak . . . Cesar Hernandez continued to excel as the leadoff hitter: 2 hits, 3 walks, 3 runs. He’s reached base in 27 straight games, longest since Chase Utley’s 28-game streak in 2011 . . . 409 pitches were thrown by 19 different pitchers in the 4-hour, 23 minute marathon. Reading led the Eastern League in batting (.270), runs (790), hits (1,309), doubles (270), home runs (185), RBI (747), walks (515), slugging percentage (.450) and on-base percentage (.344). No other team came within 154 runs or 50 home runs of Reading. Cozens (40) and Hoskins (38) were the top two home run leaders in the minor leaguers . 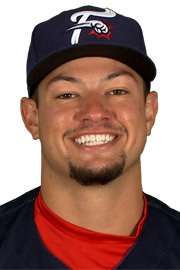 . . Cozens led all double-A players in HR, RBI (125) and R (106). 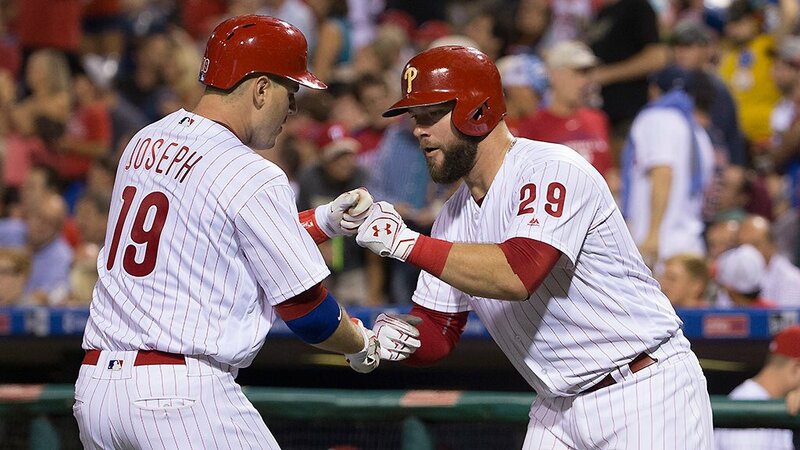 Set Reading franchise records in HR (Darin Ruf, 36) and RBI (Greg Luzinski, 120) . . . . . . Post-season honors: Cozens, the EL MVP; Hoskins, EL Rookie of the Year; Dusty Wathan, EL Manager of the Year . . . Cozens and Hoskins, co-winners of the Paul Owens Award for best hitters. All-Stars: July 13 All-Star Game selections: C Jorge Alfaro, Hoskins, Cozens, 2B Jesmuel Valentin, RHS Nick Pivetta, LHR Hoby Milner . . . Cozens and Hoskins were selected to the postseason All-Star Team. RHP Grover Cleveland Alexander pitches 7-3 and 4-0 complete-game wins over Cincinnati at Baker Bowl and ties a major league record by walking only one batter. Almost a year later (September 3) he does it again, 5-0 and 9-3, at Brooklyn, allowing one walk. Time of game: 1:33 for first game; 2:07 for second. Wins were #30-31. Jerad Eickhoff is a bulldog and a battler. His second pitch of the game landed in the right field seats. That was it until he yielded consecutive home runs in the seventh inning. Unaccustomed to run support, he got plenty last night, 8-3, over the White Sox. 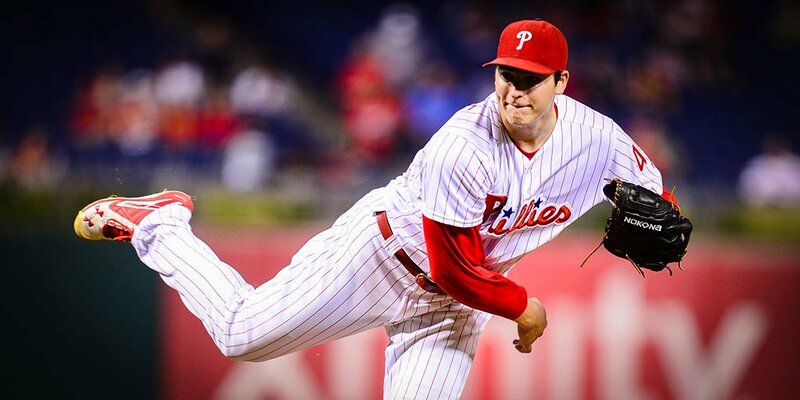 When the Phillies have scored three or more runs for Eickhoff this year, they are 12-1. The other hits Eickhoff gave up were singles in his seven-inning outing that stretched the Phillies streak to 18 straight game in which the starting pitcher allowed three earned runs or fewer (2.37 ERA best in the majors). He’s now worked a career-high 187.1 innings. His previous high was 154.1 in AA ball two years ago. Tommy Joseph helped lead the offense with an RBI double in the three-run first inning and a two-run homer two innings later. This month he’s hitting .340, 4 homers, 11 RBI. The 3-4-5 hitters, Maikel Franco-Joseph-Cameron Rupp, were 6-13 with 7 RBI. From Elias Sports Bureau: It’s the first time in over nine years that Philadelphia’s starters in the third, fourth and fifth spot in the batting order each produced multiple hits and RBIs in a victory, since Utley-Howard Burrell it in a win over the Astros on April 17, 2008. LH Chris Sale is a perennial Cy Young candidate. His worst outings this season were against the two lowest scoring teams in the NL, the Phillies and Braves. The Phillies chased him after 6 runs in 4 innings. Vs. Atlanta in early July, 8 runs in 6 innings. He was 0-4 vs. the NL this season. Ten. That’s how many games are left starting tonight in Citi Field. Seven of the 10 are against the Mets who are in the thick of the wildcard race. Last three games of the season against the Mets are at Citizens Bank Park. It will most likely be Ryan Howard’s final games in a Phillies uniform. Once termed the “Amazing Mets” a long time ago, they’ve reclaimed that tag this year despite losing their starting third baseman, second baseman, two starting pitchers and one reliever for the season. First baseman Lucas Duda just returned after being on the disabled list since May 20. Plus Steven Matz, a third starter, has been out since mid-August with a shoulder impingement. He’s listed to start Friday. **Fresh from losing 3 games at home vs. Atlanta. **20-10 in last 30 games. **Have hit a franchise record 105 homers at home and 205 for the season. **Have 7-5 season edge over the Phillies but 3-3 at Citi Field. **Team ERA is 3.54; team batting average, .242. Finished second in both halves and fell short of reaching the playoffs . . . Overall record (82-54) was the best record in the league for the second straight seasosn . . . Attendance: 181,594, second highest ever, led the league for the sixth straight year. Led the league in wins, 82 and hits, 1,192 . . . Tied for high in saves, 41. 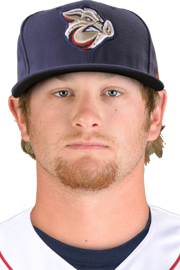 RH Drew Anderson, RH Will Morris and RH Victor Arano combined on a July 11 no-hitter vs. St. Lucie . . . 1B Kyle Martin set a franchise record with 19 home runs. Also set a league record by going 95 games without an error; first error on August 25. .998 fielding percentage tied a league record . 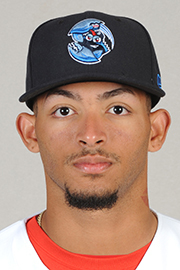 . . LHS Elniery Garcia’s .219 opponent’s batting average tied for lowest in FSL. All-Stars: Selected to the North Division squad: RHS Tom Eshelman, LHS Elniery Garcia, RHR Alexis Rivero, C Chace Numata, 1B Zach Green, 2B Scott Kingery, 3B Mitch Walding, OF Carlos Tocci, OF Cord Sandberg . . . Walding won the ASG Home Run Deerby . . . Post-season: 1B Kyle Martin, Kingery, Walding and Tocci; Manager Greg Legg, names to post-season All-Star team as a coach. Phillies history. Will give you 20 guesses as to who’s #1 at that position. The starting rotation is headed in one direction and the bullpen the opposite. Both were evident in last night’s 7-6 win over the White Sox, a game in which Michael Mariot was called on to get a one-out save, his first in his 39-game big-league career. Jeanmar Gomez’s struggled as he allowed three runs in .2 of an inning after entering the ninth with the Phillies up, 7-3. Starter Jake Thompson wasn’t as sharp as his recent outings, throwing 95 pitches in five innings and allowing a three-run homer. Still his effort extended the streak of the starters not allowing more than three runs in 17 straight games, last done by the Phillies in July 2000. The congregate ERA for the starters in that streak is 2.26. The bullpen, in the same 16 games, now has a 5.96 ERA with six losses and five blown saves. Offensively the Phillies came live led by Odubel Herrera’s three hits, his fifth straight multi-hit game. Herrera is 15-28 in his last seven games. The number 2-3-4 hitters, Ramon Quinn-Herrera-Tommy Joseph, combined to go 7-11, 5 runs, 6 RBI, 2 walks, 1 double, 1 home run, 3 stolen bases, 1 strikeout. Herrera’s homer was #15 giving the Phillies six players with 15 or more for the second time. First was 2004, Bobby Abreu, David Bell, Pat Burrell, Mike Lieberthal, Placido Polanco and Jim Thome . 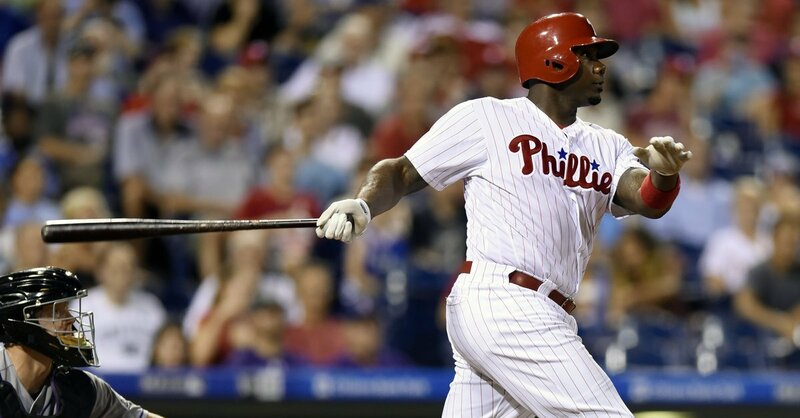 . . Ryan Howard, barring a set-back, is expected back in the lineup Thursday night. Plan is to start him in the final three games of the season which will be played at home . . . Cesar Hernandez has reached base in 25 straight games . . . Lefty Chris Sale, one of the game’s premier pitchers, will be on the mound tonight. He has a 73-48, 2.94 ERA in his seven seasons. He’s never faced the Phillies. Maybe it will ran tonight. Phillies will bus to New York after the game to begin a four-game series against the Mets who are in the thick of the wildcard race. The same two teams end the season with three games at Citizens Bank Park, September 30-October 1-2. Spoiling the Mets’ postseason party would be a good way to end the season. For the second straight year every last game of the season will begin at 3:05 EDT. MLB started this a year ago to capture all the excitement of the postseason races. Series in New York is followed by a day off in Atlanta on Monday and the final three road games starting on Tuesday night. That series will be the final National League games in Turner Field history. The last three games follow with the Detroit Tigers as the opponent. The Braves will have a new park next year. Lakewood BlueClaws, South Atlantic League North Division. Finished 6th in first half, 29-40; started season 1-9 . . . Won second half, 44-25, by 5 games over Hagerstown; 24 wins in last 30 games . . . 74-65 overall, second in division to Hagerstown; won 25 of their last 35 games . . . Won Division Playoff Series vs. Hagerstown, 2-0 . . . Lost Championship Series to Rome Braves, 3-1. Led SAL in attendance for 16th straight season, 353,080 . . . Second in team average (.266), fifth in ERA (3.53), tied for 1st in shutouts (14) and pitchers led in strikeouts (1,267). 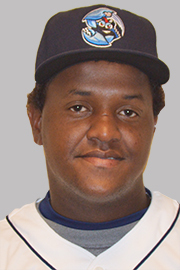 RF Jose Pujols lead all Low-A players with 24 home runs, a Lakewood club record . 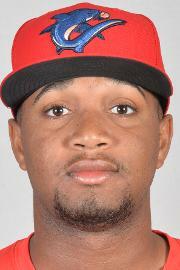 . . RHS Jose Taveras led the SAL and all Phillies minor leaguers with 154 strikeouts. All-Stars: 2B Josh Tobias, RF Jose Pujols. RHP Grover Cleveland Alexander hurls his fourth straight shutout at Chicago, 4-0, first game. Others were September 7 (at Braves), 13 (Dodgers) and 17 (at Reds). Phillies beat Atlanta, 5-3, as Roy Halladay becomes first Phillies right hander to win 20 games since Robin Roberts in 1955. 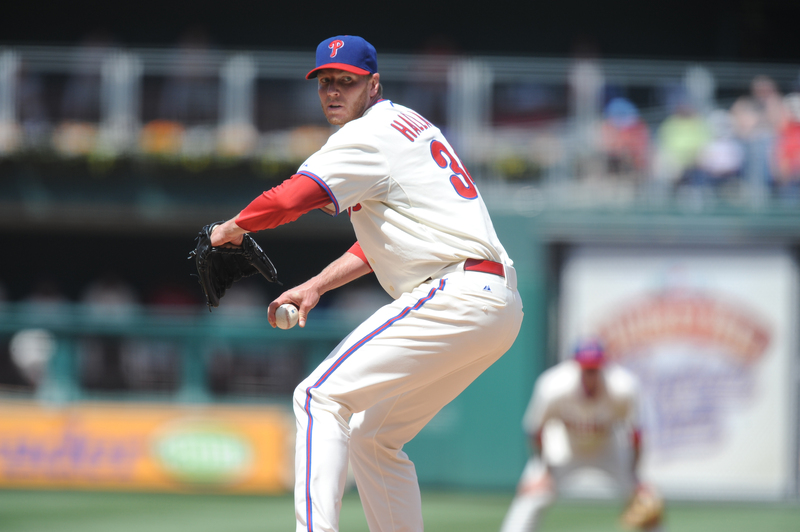 Halladay sets club record for most wins in a season at Citizens Bank Park with 12. Eleven. That’s how many games are left on the Phillies season schedule after tonight when they host the Chicago White Sox in the final interleague series of the year. The teams met in Chicago last month with each winning a game. The Phillies most interleague success came against the Cleveland Indians whom they swept in a three-game series at Citizens Bank Park at the end of April, 4-3, 4-3, 2-1. Least success, 1-3 vs. the Toronto Blue Jays. For the year, the Phillies are 9-9, the most wins since their last winning season in 2011, 9-6. Club record for interleague wins, 11-7, in 1999. Next year the Phillies get to host the Seattle Mariners, Boston Red Sox, Houston Astros and Oakland A’s. They go to the Texas Rangers, Boston, Seattle and the Los Angeles Angels of Anaheim. The Phillies won their first ever game against the Angels, June 9, 2009 in Anaheim. They’ve lost the last nine. Yikes. **Fresh from losing the last three games of a four-game series in Kansas City. **Even in interleague play, 9-9. **They were two over .500 at the ASG; eight under since. **Have played 50 one-run games, 22-28. **Chris Sale, tomorrow night’s starter, has a 3.03 ERA, second lowest in the AL. Thompson gave up 7 runs in 5 innings against the White Sox on August 23; since then, 7 total runs in his next four start, 25.1 innings . . . Galvis has hit 11 of his 20 homers at home this season, 26 of 40 career . . . All of Herrera’s homers are off right-handers; 10 in the first half . . . When Howard homers, Phillies are 230-119 (.659) in his career . . . When the Phillies trail after 8 innings they are 1-70 . . . When the starting pitcher lasts less than six innings, 19-41 . . . Phillies 12 shutouts are third in the NL behind the Dodgers (15) and Cubs (14) . . . A. J. Ellis has caught 53 career shutouts, seventh most among active catchers. Williamsport Crosscutters . . . 39-36, second place in New York-Penn League Pinckney Division . . . Had division’s best home record, 23-14 . . . 2.70 team ERA, second in league and second all-time in franchise’s short-season history . . . 19-9 in July . . . Attendance: 60,429. LHS Ranger Suarez, 21, threw the franchise’s first no-hitter since 2013, July 26 vs. Auburn, game 1 of a DH at home. He walked the first batter, induced a double-play and retired the next 19 in the 7-inning gem. All-Star Game: RHS Adonis Medina, Suarez, OF Jesus Alastre. 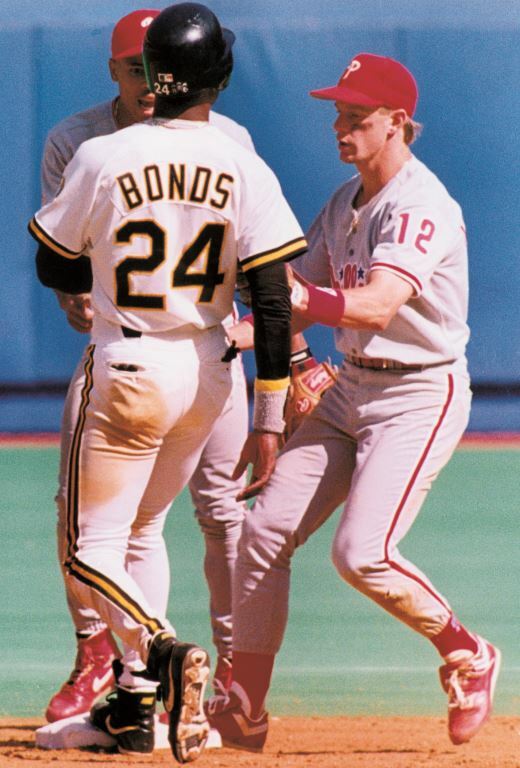 After snaring a low line drive hit by 3B Jeff King, 2B Mickey Morandini pulls off the first unassisted triple play in Phillies history during the sixth inning of a 3-2 loss in Pittsburgh, retiring Barry Bonds for the third out. for Houston and once for Texas. He became the first major leaguer to beat the same team three times in a season while playing for three different teams. (broadandpattison.com). Hellickson was brilliant with his complete-game shutout on Saturday night setting the stage for a sweep of the series on Sunday afternoon. A sloppy eighth inning Sunday turned a possible sweep in a game that made you weep. A lead-off walk, two-run homer off the left-field foul pole, botched popup when Hernandez and Joseph bumped into each other for a two-base error and a two-out infield hit on which Franco’s throw was wide of first base. Three runs on two hits and a Marlins win. In winning two of three, the Phillies won the season series from the Marlins for the seventh straight season. Starters Morgan-Hellickson and Asher combined to allow two earned runs in 17.2 innings, two walks and 13 strikeouts. Granted, biggest chunk of those numbers came from Hellickson’s three-hitter, his first shutout in five seasons. His first-pitch strikes, 23 of 30. With his 11th homer in his last 36 games on Sunday, Galvis reached 20, his total from five previous seasons. He’s the eighth shortstop with 20 homers, the most in MLB for that position in one season. He committed his seventh error Sunday after 51 consecutive errorless games and second of the second half. That’s Gold Glove stuff. For the first time since 2012, the Phillies used only nine players in Saturday’s win, just the ninth time in the majors this season . . . Howard had fluid drained from his puffy left knee csnphilly.com reported Sunday . . . Herrera is 12-24 over his last six games . . . Hernandez has reached base in 24 consecutive games . . . Phillies were 54-7 after the eighth-inning going into Sunday . . . Over the past two games the Phillies scored seven runs in the first inning. Before that, 48, the fewest in the majors . . . For the first time in franchise history, the Phillies have four infielders with 20 or more homers, Galvis, Howard, Joseph and Franco . . . 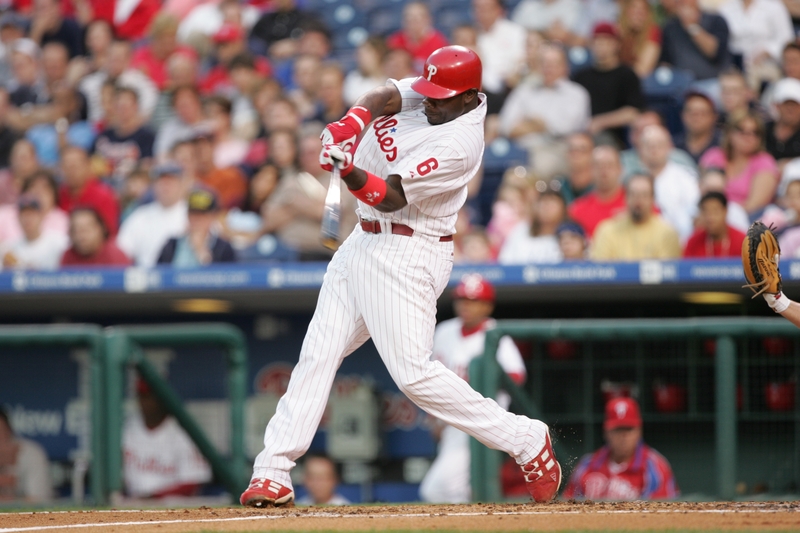 Overall, only once have the Phils had five players over 20: Howard, Utley, Rollins, Burrell and Ibanez in 2009. Day off on Monday is followed by two night games against the Chicago White Sox and the end of interleague play for this season. Two teams split two games in Chicago last month. 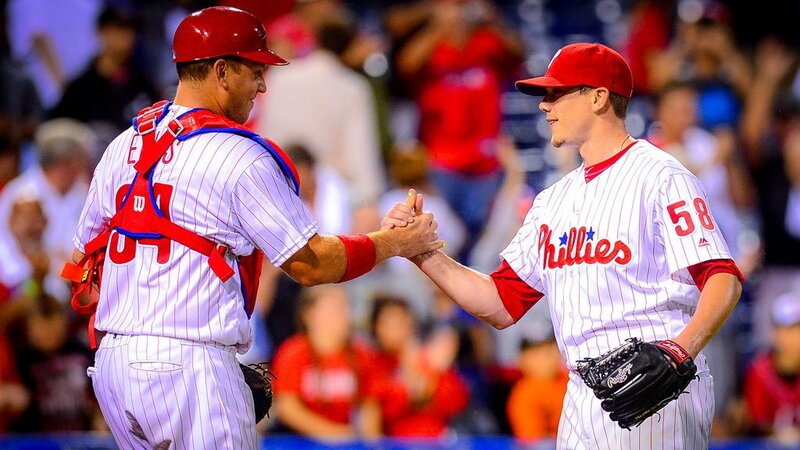 Phillies have won eight of 14 meetings overall against the White Sox, who are 1-5 at Citizens Bank Park (2007 & 2013). There have been six Phillies rookies to hit 20 or more home runs. 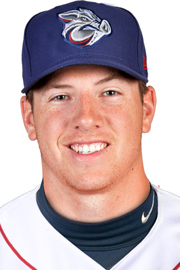 Reading RF Dylan Cozens and 1b Rhys Hoskins, co-winners of the Paul Owens Award as the best hitters in the Phillies minor league system, will receive their awards pre-game on Tuesday night. Receiving the pitching award is RHS Ben Lively, an 18-game winner between Reading and Lehigh Valley. Presenting the awards will be GM Matt Klentak; Director, Player Development, Joe Jordan, and three grandchildren of the late Paul Owens, Geoff Owens, Drew Owens and Paulette Kohout. Lively will be on the pre-game radio show and Cozens in-game TV on Tuesday. Cozens and Hoskins will be guests on pre-game radio on Wednesday with Lively and Hoskins in-game TV. All three will participate in a Meet & Greet with season ticket holders pre-game that night. RHP Robin Roberts defeats the New York Giants, 7-4, at the Polo Grounds improving his record to 28-7, most victories in the majors since 1935. “Robbie” led the NL in complete games (30) and innings pitched (330).